During the summer months ceiling fans can supplement air conditioning, allowing the thermostat to be set at a higher temperature without reducing comfort. For every degree you raise your thermostat, you can save from 7-10% on your cooling costs. 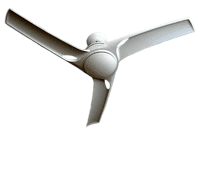 In the summer the ceiling fan blades should turn in a counter-clockwise direction. If a room is unoccupied, turn off the fan to save energy. For the most efficient ceiling fan, purchase an ENERGY STAR model. For more information, visit Engery Star’s website.